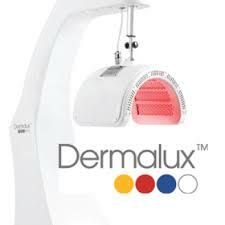 We have had such fabulous results from our LED treatments that we have invested in the ultimate LED skincare machine. Dermalux! Achieving results with LED Phototherapy is dependent of a number of key parameters to maximise the light / chromophore interaction that allow photobiomodulation to take place. The key parameter is the precise wavelength or nanometre (nm) which determines the target for the light and also the depth of penetration into the skin. The second important parameter is the output power or photon intensity.